Alan Bozeat: Since 1992, I have been a Councillor with the Institution when it used to be IME, before it became IMM and now IMMM. In the 90's I was the President of the Southern Counties branch of the IME for a period of time. Also, since 1992 I have served on the British Tunnelling Society Committee as a MinSouth representative. Having graduated as a Mining Engineer from the CSM in 1975, the next 13 years were spent doing mine shaft sinking and development work in the UK, Middle East and North Africa. Hunter Personnel and HPC Products were established, owned and run by myself in 1988 and continue to serve the Mining and Tunnelling Industries, with recruitment and equipment supplies. The experience I have gained has been in mine development, deep shaft construction, gold production and iron ore exploration, copper in Zambia, DRC, and various tunnel operations around the world. 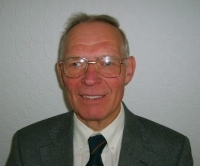 Alan Stainer: I am Fellow of the Institute of Materials, Minerals and Mining and have been MinSouth Councillor since 2000. 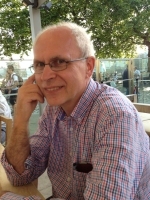 I am Emeritus Professor of Productivity and Performance Management at Middlesex University Business School, London, as well as Visiting Professor of Management at Brunel Business School, also in London. I have had many years experience in both UK and US industry, including British Coal and the Jet Propulsion Laboratory, NASA. I am a chartered engineer, chartered scientist and chartered environmentalist, as well as Member of the Conseil National des Ingénieurs et des Scientifiques de France. I am both Fellow of the Energy Institute and the elite World Academy of Productivity Science. Moreover, I am Founder-Director of the International Society for Productivity and Quality Research and Associate Editor of the International Journal of Business Performance Management. Andrew Hindmarch: I was elected as onto MinSouth as a co-opted member from the British Tunnelling Society of which I was a committee member from 2008 to 2011. Since graduating from CSM in 1987, I worked with tunnelling contractors for a few years before joining Mott MacDonald as part of their Channel Tunnel Design Team. Since then I have also worked in the UK and overseas on various projects including Storebaelt in Denmark, Heathrow Express, New Southern Railway in Sydney, Australia, the Dover and Folkestone Wastewater Scheme, Channel Tunnel Rail Link, Durban Harbour Tunnel in South Africa and Silicon Valley Rapid Transit in California and the Lee Tunnel scheme (part of Thames Tideway). Most recently I have been involved with Baku Metro in Azerbaijan and Crossrail in London. Outside work I am a keen runner. I am also an amateur astronomer and helped set up a new local society where I live. I am also involved with science events at local schools. Angus Morrison: I am a mineral processing researcher at Imperial College London, working on the design and optimisation of flexible, modular processing flowsheets for the beneficiation of industrial minerals and base metals on the EU critical raw materials list. I have been working in mineral processing and extractive metallurgy research for ten years, and hold a PhD in froth flotation equipment design from the Royal School of Mines at Imperial College London, a research MSc in comminution equipment design and optimisation from the Centre for Minerals Research at the University of Cape Town, and a BSc(Hons) in experimental nuclear physics from the University of Cape Town. 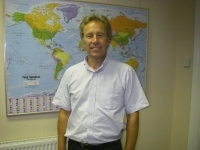 Clive Hallett is a chemical metallurgist by training with over 35 years international experience in the high temperature and aqueous processing of minerals, wastes and effluents. For the past 20 years his work has focused on the environmental side of the mining business working on the geochemistry of mining waste and tailings assessing the potential risks associated with Acid Rock Drainage (ARD) for new mining projects worldwide. For current and closed operations he has performed studies on the quality and quantity of water produced at tailings dams, waste rock dumps and underground workings, leading to technical and economic evaluations for pollution control and the potential recovery of metal values. Since 2013 he has been working for AMEC Foster Wheeler Earth and Environmental in Ashford and he is a visiting lecturer at Imperial College, RSM where he provides a course on Mine Waste and Water Management. I am an engineering geologist with over 20 years' experience working in the geotechnical industry. I currently work at BP and have been involved in a variety of onshore and offshore oil and gas projects, providing geotechnical management and technical assurance to BP's projects and operations. Prior to joining BP I worked within Atkins Ground Engineering Energy Geotechnics Division, specialising in ground characterisation, geohazard assessment, ground investigation design, planning & management and geotechnical interpretation, analysis and design reporting. Before Atkins, I worked in Hong Kong for 4 years with Fugro (HK) Ltd and was involved in a variety of geohazard and landslide investigation and mitigation programmes. My time before Hong Kong comprised 2 years at STATS Geotechnical and one year at Imperial college undertaking a MSc in Engineering Geology. I have travelled widely in the last 20 years working in Indonesia, Pakistan, Turkey, Georgia, Azerbaijan, Oman, Dubai, China, Senegal, Hong Kong and the UK. I am also an active IOM3 scrutineer and interviewer for the MIMMM CEng process for the last 6 years. I was born in Peru and I got my chemical engineer degree in Chile. After graduating I worked as Jr. Metallurgist for 5 years in Biosigma, a Chilean company whose focus was the developing of bioleaching processes for low-grade ores. The projects developed by the company went from laboratory to pilot scale. Then I went to Germany to pursue a Master's degree in Environmental Engineering. I wrote my Master's thesis in the topic high temperature corrosion. After my return to Chile I worked for two years in a CI-JRI S.A, a company dedicated to thickening processes of tailing and concentrates. They projects involved mainly rheological characterization of the slurries for designing transport and settling systems. I am currently in the 3rd year of my PhD studies at Imperial College London, in the Mineral Processing research group at the Department of Earth Science and Engineering. More specifically, I'm working in the designing and optimization of small hydrocyclones. 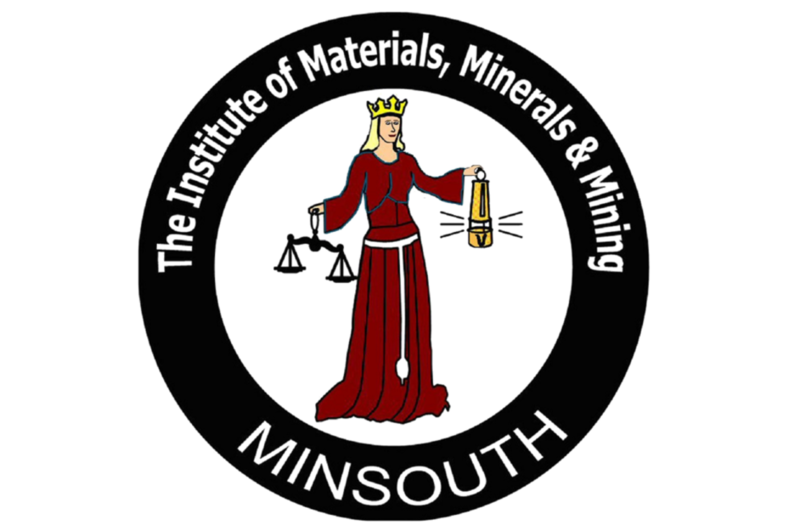 I am very interested in becoming a member of the MinSouth Council because my intension coming to the UK was not only obtain a PhD degree but also expand my network in the field. Eventually I will go back to my home country and I would like to bring with me potential mutual collaborators for future projects. I see MinSouth as an excellent opportunity to learn about other topics that I am not familiar with as well as learn, from the inside, about how this kind of organizations (MinSouth and IOM3) work. 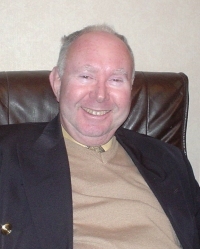 Gavin Bowyer: MinSouth Councillor 2006 to present. After qualifying as a geologist in 1969, I have spent most of the last 40 years working on projects in Africa, Australia and South East Asia, plus assignments in Europe and the Americas. I started as an exploration geologist but much of my career has been as a London based consultant involved with feasibility studies and technical due diligence. I have recently retired. My other interests include birdwatching and searching for old prints and books on mining and geology. Geoff Hammond: I joined the IMM as an RSM Mining Geology student 53 years ago and, after graduation, spent 21 years in metal mining and exploration for metals and diamonds, much of that time oriented towards copper in Zambia, Iran and Argentina. Following that came ten years with Seltrust Engineering/BP Minerals getting to grips with exploration and mining of potash, and advising on base and precious metal projects. Since 1989 I have worked as an independent consultant undertaking feasibility studies and producing competent person's reports in Europe, Balkans, Turkey, Middle East, Russia, Kazakhstan, Africa and South America. I am now semi-retired and able to devote time as a Councillor to MinSouth, also to exploring parts of UK I never had time to visit earlier, and shooting squirrels. Geoff Hooper: As a member of SME of AIME I have spent the last 40 years developing and implementing ICT in the minerals industry. While employed by Charter Consolidated, Amoco, Seltrust Engineering/BP Minerals, Techpro and SNC-Lavalin I worked on the resource estimation and mine planning for projects in Africa, Australia, Indonesia, Iran and North America. I now provide consultancy on geological, metallurgical and mining ICT. Iain Duncan: I graduated in Law at the University of Newcastle Upon Tyne and then went on to study the Legal Practice Course at the College of Law, York. 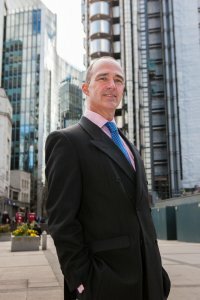 I am a Partner based in the London office of international law firm Simmons & Simmons LLP and specialise in advising on transactions around the world (in particular Africa and Asia) in the mining sector, advising on M&A, project development (including joint venture and offtake) arrangements and various forms of financings. I often speak at/chair international mining conferences such as Beijing Mines & Money 2011 and write for publications such as the Mining Journal. 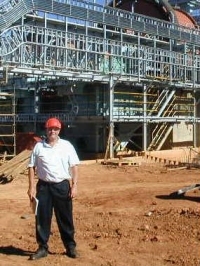 Ian Jackson: I am a mineral processing engineer with 28 years of experience in the design, commissioning, operation and improvement of mineral beneficiation processes and plants. After graduating from the Camborne School of Mines in 1987, I spent nine years on plants in the JCI group in South Africa. 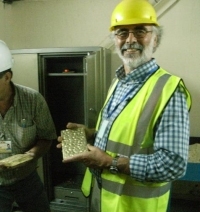 These plants were producing gold, PGM and antimony and I was mainly performing technical development work, commissioning plant expansions and optimizing new parts of the process plants. I have since worked for a number of consulting/EPCM project engineering companies in Johannesburg and London, having moved back to the UK in 2008. Since 2013 I have been the leader of the mineral process engineering team in Amec Foster Wheeler's London mining studies group. I have performed work on projects in many diverse locations to recover many types of mineral, including base metals, precious metals, iron ore, mineral sands, rare earths and phosphates. I am a Chartered Engineer and a member of IoM3 and SAIMM. Ian Townsend: I have been an IMM and MinSouth Councillor at various times since 1985, interspersed with overseas assignments. I am also a Council Member and Treasurer of The Filtration Society. After graduating as a Minerals Engineer from the University of Birmingham in 1972, I worked for 10 years as a metallurgist and plant manager on copper mines in Zambia, and gold/uranium mines in South Africa. I then returned to the UK to work with Seltrust Engineering/BP Minerals in London, although I spent a lot of time in Australia working on the Leinster Nickel and Olympic Dam projects. Since 1991, I have worked in the UK for Larox Oyj, a Finnish company manufacturing filtration systems used in metallurgical plants. I recently spent two years in Johannesburg as MD of our South African subsidiary, and my current, global role is Business Manager - Concentrate Filtration. Outside work, I enjoy SCUBA diving, hiking and clay pigeon shooting. I am active in my village community, and I retain an affinity with southern Africa through regular visits. 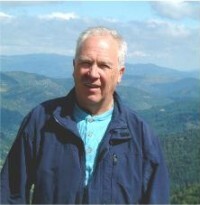 John Monhemius: I have been involved with MinSouth since its inception, as well as its predecessor societies. I am a semi-retired academic, having taught at the Royal School of Mines for over 40 years in the field of extractive metallurgy, particularly hydrometallurgy. I have consulted extensively in the mining industry, particularly in gold extraction. I am a director of a gold mining company in Azerbaijan and an exploration company with interests in gold and other metals in Tanzania. 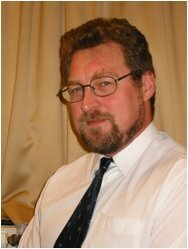 Martin Griffin: I am a Chartered Mining Geotechnical Engineer with twenty years' experience in material and mining, thirteen of these specialising in the mining sector but with experience in a variety of geotechnical engineering works. I am Professional Member of the Institute of Materials, Minerals and Mining, member of the British Geotechnical Association, Fellow of the Geological Society of London, and member and Journal Peer Reviewer for the International Association for Engineering Geology and the Environment. In addition, I am a STEMNET "Ambassador", aiming to encourage young people to take up careers in the minerals industry. I graduated from Camborne School, of Mines in 1995 with a 2.1 B.Eng (Hons) in Industrial Geology, followed three and half years as a Postgraduate Research Assistant at the University of Sunderland I researching the flow and deformation (rheology) of ceramic clay paste compositions. After a period of freelancing as a site geotechnical engineer and engineering geologist, in 2001, I joined URS / Scott Wilson Mining (previously Knight Piésold, UK) as Mining Geotechnical Engineer within a interdisciplinary Mining Team. I joined AMEC as Senior Geotechnical in 2012 and specialising in the geotechnical characterisation of materials, site investigations for supporting mining infrastructure, open pit studies, design aspects and assisting with the training junior staff. My other pastimes include reading, cooking, gardening, long distance running and 6510+retro-programming. 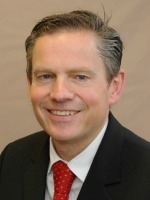 Michael Forrest: MinSouth Councillor 2004 - present. I spent the first part of my career as a Senior Geologist with the BGS, specialising in exploration geochemistry and remote sensing. I then joined Mining Journal Research Services, researching mineral commodities and mining equipment markets. I presently provide consultancy research services for mergers and acquisitions, feasibility studies and business development in the mining sector through the company, Mining Research. My current role in MinSouth is to organise masterclasses and our annual commodity day conference. I am also chair of the mining divisions of our parent, IOM3. 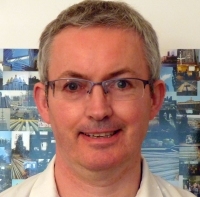 Mike McLoughlin: I am a Fellow of the IOM3 and a Chartered Engineer. After graduating from the University of Strathclyde as a mining engineer I worked in open pits as an engineer and a manager in the UK and overseas. I was later employed by a firm of consultants before becoming an independent consultant and creating a software house - Rockmate Limited where I specialise in intelligent mining systems. Paul Griffin: I graduated from Cardiff as a Mining Engineer in 1977. After a period of postgraduate research I joined Dowty, the mining equipment manufacturers, where I worked throughout the world's underground coal industry for some 13 years. In this period of my life I was fortunate to work in Australia, Canada, South Africa, Eastern Europe and India. In 1993 I joined the Australian mining software developer, Surpac where I was European Manager and then Group Finance Director. In the time with Surpac I established offices in South Africa, Chile and India. I was awarded my MBA through the Open University in 1999. After a period of merger and acquisition I became VP Sales for Gemcom in 2006 before eventually leaving to run my own freelance activities in 2008. I also returned to study (yet again!) and was awarded a degree in Law in 2010. Outside my professional activities I also am an advisor with the Citizens Advice Bureau. Richard Roethe is originally from Germany, where he grew up near the spa town of Wiesbaden in the hills of the Taunus. 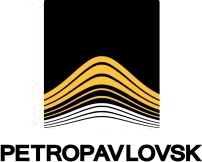 Like three generations before him, he followed the family tradition into the mining world, where his interests are currently focussed on the economic aspects of exploration and exploitation of small and high grade deposits. 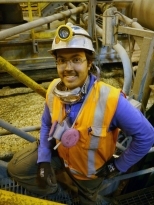 After graduating in Geology at the TU Bergakademie Freiberg in 2014, he joined a small exploration group on a REE scoping project in Mauritania before going to Cornwall in 2015, where I completed an internship with SGS Mineral Services in Truro, gaining some experience in mineral processing. He then took an MSc in Mining Geology at CSM and for his dissertation investigated different methods of resource estimation on ultra-narrow vein mineralisation at the Rudnik mine in Serbia. His current job is Operations Assistant with Mineco Ltd. 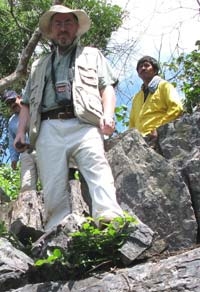 Most of his responsibilities are in assistance with management of Mineco's Olovo cerussite project in Bosnia as well as the company's involvement in the Horizon 2020 Impact project (www.impactmine.eu ), at which he is also directly contributing to the geological and resource estimation research led by CSM. To broaden his horizons, he is undertaking part-time education in corporate finance with the Open University. Richard believes that the professional institutions such as IOM3/Minsouth are an absolute backbone of the mining industry, providing an effective networking platform between academia and industry and also between senior professionals and newcomers. Robert Bacon: After graduating in Metallurgy & Materials Science from the University of Wales in 1982, I worked for 5 years as a research scientist in a corrosion section. I then turned to the industrial insurance market & have in the last 30 years worked for Factory Mutual, Commercial Union, Wellington 2020 Syndicate at Lloyds, as a consultant, as Engineer Construction & Mining at Chubb Technical Risks in London and now work again as a consultant, Bacon Risk Engineering. My work takes me all over the world looking at a wide variety of construction and mining projects, providing practical advice to clients to reduce their property and business interruption risk profile to support the underwriting of these risks in the London market. I am a Chartered Engineer, Member of the Institute of Fire Engineers and Fellow of the Institute of Materials, Minerals and Mining (IOM3) and joined the MinSouth Council in 2011 becoming President in the 2015/16 year & the joined the MTD board in 2014. 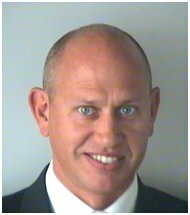 Roger Emmott: Roger Emmott has been involved with Minsouth since 2010 and a Council Member since 2012. He is Managing Director of London-based metals consultancy Roger Emmott Associates Limited as well as investor and trainer with UK training firm Kallanish. He is an experienced management consultant, business developer, innovator and adviser with core expertise in the steel and iron ore.
His previous experience includes leading the Consulting and Training businesses of Platts Steel Business Briefing before which he held senior positions with Atkins Plc in the UK and Hatch Associates of Canada. In these roles he gained in-depth international experience of strategic, due diligence, market and feasibility studies to bankable standards. He has spoken at and contributed to many international industry events and conferences. 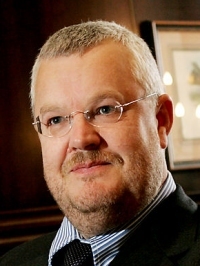 He is a Chartered Engineer and Fellow of the IOM3, Institute of Consulting and the Chartered Institute of Management. He holds a BSc in Metallurgy and Materials from the University of Birmingham, MBA London Business School, and MA Screenwriting Bournemouth University. Simon Kocher: Having always had a strong interest in minerals and mining it appeared natural to pursue a career in geology, which led to a degree in economic geology from the University of Tuebingen. After a period of working as near mine exploration geologist on greenschist metamorphic VMS deposits in Northern Sweden I took on a PhD position with Imperial College and the Natural History Museum London. Currently I am researching the distribution of molybdenum in the Bingham Canyon porphyry deposit, Utah to gain a deeper understanding of the behaviour of Mo in porphyry systems. This project is carried out in cooperation with Rio Tinto. Since 2012 I am a member of the MinSouth council and in 2013 I joined the applied earth sciences board of IOM3. 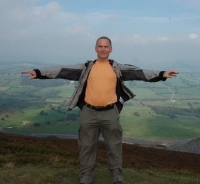 Stephen Barnett: Stephen Barnett is currently an independent consultant to the metals and mining industry. He has worked in the industry for 35 years in South Africa, Colombia, Australia, Holland, Canada and Belgium. He is an active oil painter and photographer and participates in scuba diving, walking, sailing and skiing. Stephen Kennedy is a corporate development professional with over 25 years of international experience in growing metals and mining companies through M&A and complex multi-disciplined projects. He has recently joined Advisian in London as Executive Vice President, Europe leading the Minerals & Metals industry sector team and the Due Diligence service line providing transaction support across all industry sectors. Advisian is a global consulting firm built from the merger of Evans & Peck, MTG, Ltd. and EcoNomics™ as well as the integration of WorleyParsons Technical Consulting and INTECSEA. Advisian provides deep domain expertise and advice to clients in the hydrocarbons, transport, utilities, social infrastructure and minerals, metals and chemicals sectors. We help clients create greater value, new possibilities and superior outcomes from their assets and businesses. Advisian is the independent advisory arm of the WorleyParsons Group. Stephen’s broad experience was obtained from a series of successful roles in corporate business development, technical due diligence, feasibility studies, market analysis, project delivery and design engineering for leading companies in the metals and mining industry. He has a solid understanding of the bulk commodities including: iron ore, metallurgical and thermal coal was gained from business development at Anglo American and project roles at BHP and Hatch. His extensive knowledge of the non-ferrous industry, in particular the aluminium and copper sectors, was obtained through numerous technical due diligence assignments with Hatch in London which was further consolidated through a senior business development role with Mubadala in Abu Dhabi. He is a dual Australian and British national and holds a Bachelor of Civil Engineering with Honours from the Queensland University of Technology and a Master of Business Administration from The University of Queensland. He is a member of the Institution of Engineers Australia, MinSouth and the Association of Mining Analysts. Outside of work, he enjoys travelling, outdoor activities including snow skiing, water sports, mountain biking, and spending time with family and friends. Stuart MacGowan: I was educated at St. Olaves' Grammar School in Kent before completing a 4-year geology degree at the Royal School of Mines. Graduating in 2015, I then studied for an MSc in Mining Geology at the Camborne School of Mines, which I completed at the beginning of September 2016. My dissertation pertains to exploration in the Copperbelt. I am a keen mineralogist and petrologist who prefers the field to the desk as a place to work. In any spare time I play hockey and go clay pigeon shooting whenever possible. Throughout my time as a student I have held roles on behalf of the RSM and Society of Economic Geologists (SEG). During my final year I was President of the SEG Chapter at the RSM, which planned and ran a three-week field trip to Eastern Europe, examining porphyry systems and their associated epithermal regimes. I have constantly been at the forefront of increasing student involvement with the SEG, MinSouth and, in a wider sense, the Geological Society. In my opinion, the events run by these bodies, particularly MinSouth, are a hugely underused resource for students. The monthly sundowners have reasonable attendance, though I have yet to see students at any of the talks or events which have taught me so much about the industry. My opinion of the university system at the moment is that is biased towards box-ticking and exam-passing rather than producing graduates with an understanding of how the world generally works. I feel there is a lost opportunity here and I would like to once again increase student involvement with MinSouth. 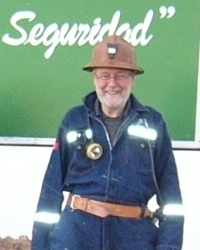 I am a mining geologist/environmental engineer with 33 years of experience in the mining industry. Following a BSc from London University and an MSc in Mining Geology from Camborne School of Mines in 1984, I spent ten years as a geologist, firstly with ZCCM on the Zambian Copperbelt and then with Mount Isa Mines in Queensland. Much of my work with MIM involved investigation of all aspects of leaching, as a metallurgical process and an environmental issue, including in-situ leaching tests for copper, SE-EW and tailings retreatment. A strong interest in the impacts of mining and a move to Melbourne, led to a PhD in environmental engineering from RMIT, focussing on the feasibility of recycling mine tailings. Subsequently I have worked as an independent mining environmental consultant through Skapa Mining Services, involved in a wide range of projects, from geochemical investigations and characterisation; AMD prediction-, management- and troubleshooting; rock dump and tailings storage, management and rehabilitation; ESIA planning-, management- and reviews; NI43-101 reviews; feasibility studies; developing and implementing mine environmental and social management systems and plans; environmental auditing; and Gap Analyses and compliance work for Equator Principles and IFC performance standards; to health and safety, and social aspects of operations. I am a Chartered Environmentalist and a fellow of IoM3.